Day 1 Fly to Anchorage: On arrival collect your car and proceed to your hotel. Day 2 Anchorage/Seward: Travel along Seward Highway, a National Scenic Byway offering incredible views around every turn as it passes between the dramatic shorelines of Turnagain Arm and the jutting peaks of the Chugach Mountains. Be sure to stop at Beluga Point Lookout where you can see the most unique and geologically dramatic bore tide in the world and watch for beluga whales rolling in the surf. Continue through the Kenai Peninsula to the small coastal town of Seward, one of Alaska's oldest communities. As the "Gateway to Kenai Fjords National Park," Seward offers incredible opportunities for outdoor exploration, recreation and plain- old relaxation (127 miles). 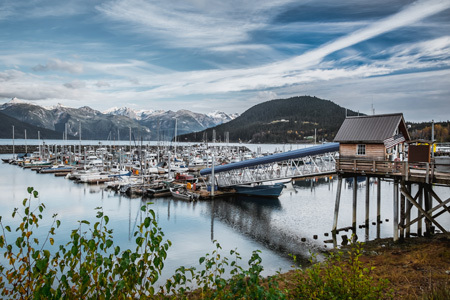 Day 3 Seward: Spend the day exploring Seward's harbour and waterfront, quaint shops and galleries, or Exit Glacier, one of the most popular road-accessible glaciers in the state. 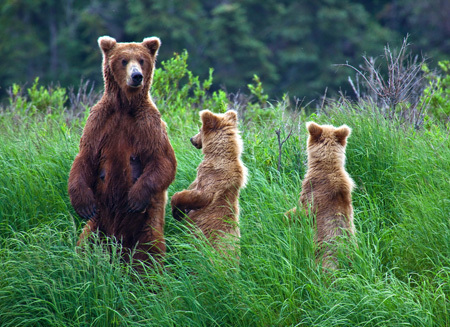 For those interested in beautiful fjords, shimmering water, towering ancient glaciers and an impressive array of wildlife, we recommend taking a day cruise to Kenai Fjords National Park and Fox Island. Day 4 Seward/Talkeetna: This morning, head back north towards Anchorage and the small town of Talkeetna, a charming pioneer town offering great views of Denali and Mt McKinley. In addition to mountain views, Talkeetna is home to the convergence of three major glacial rivers, which make for great excursions. This evening you may wish to take a zipline tour or exhilarating jet boat river tour and, en route to Talkeetna, we recommend taking a detour through the Anton Anderson Memorial Tunnel, one of the longest vehicle tunnels in North America (238 miles). 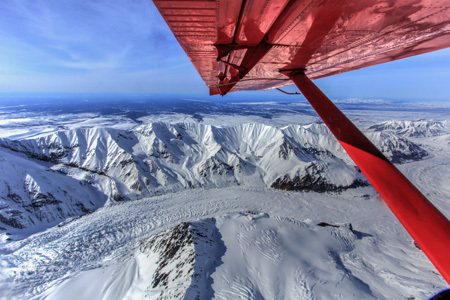 Day 5 Talkeetna/Denali National Park: This morning, weather permitting, we recommend taking a flightseeing tour among and above the Alaska Range. From the air, nature presents itself on a scale beyond your wildest imagination. We also recommend adding a glacier landing to get a sense of how immense these peaks really are. 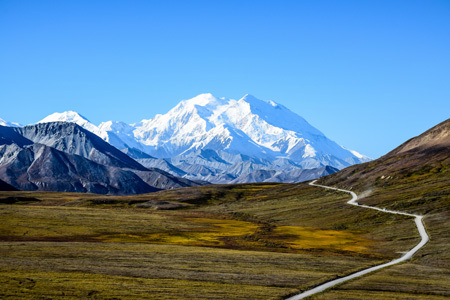 Afterwards, depart Talkeetna for the beautiful drive to Denali National Park and Preserve, the third largest park in the the crown jewel of the Alaska Range (152 miles). 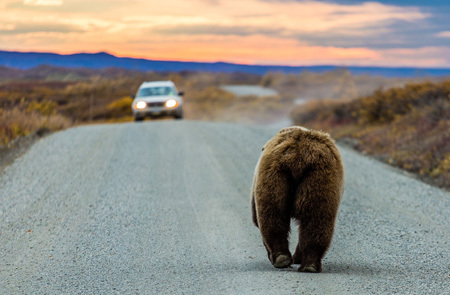 Day 6 Denali National Park: Travel into the heart of Denali, a place where life continues as it has for thousand of years, without interference by man. The only road in the park, 92 mile long Denali Park Road, parallels the Alaska Range and travels through low valleys and high mountain passes. Along its route, beautiful landscapes appear at every turn, wildlife of all sorts can often be spotted and "The Mountain" can be seen as early as Mile 9 if the normally cloudy skies permit. During the summer, private vehicles can only drive the first fifteen miles of the road Beyond Mile 15, the road turns to gravel and traffic is primarily restricted to buses. We therefore encourage you to take either the hop-on, hop-off park shuttle bus or a tour bus to fully experience the park. 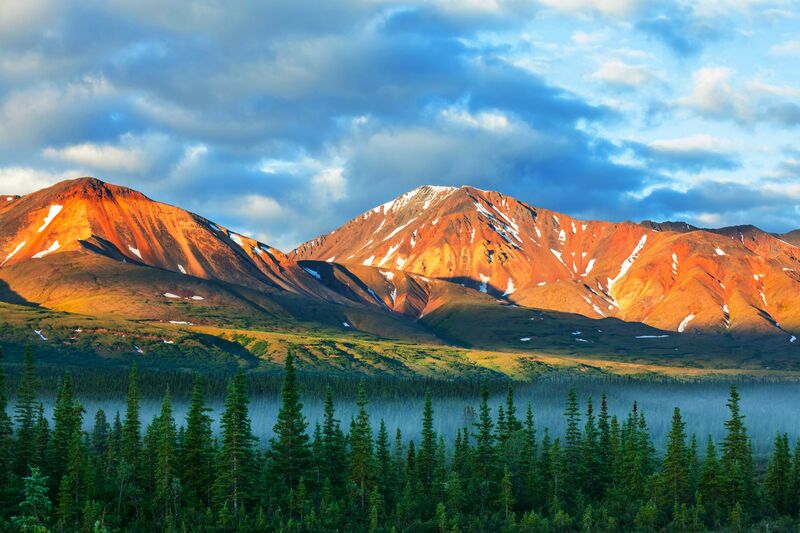 Day 7 Denali National Park/Anchorage: Should you want to explore Denali beyond the Park Road before returning to Anchorage, we recommend treating yourself to an unforgettable experience - river rafting on the glacially-fed Nenana River. Enjoy stunningly beautiful scenery, the potential for wildlife sightings, and your choice of exciting whitewater rafting or a tranquil wilderness float trip. Whichever you choose, you'll literally go with the flow as you move through the wilderness and see a part of Alaska you can't explore any other way. Upon returning to Anchorage we recommend stepping out into downtown's thriving dining scene for some world-class, fresh fish - as in Alaska, fresh fish is the name of the game (237 miles). Day 8 Anchorage: airport where your tour concludes. 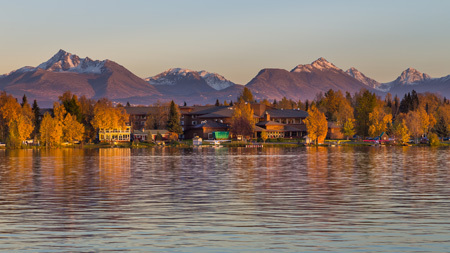 Tour price: The price shown is based on the best value travel dates in low season and includes return international flight from London to Anchorage, 8 days compact 2 door car with fully inclusive insurance and 7nights accommodation.